bed & breakfast Salzburg we will do our utmost to make your vacation Salzburg the most agreable one. lodging in the salkammergut lake district all our rooms are non smoking. the perfect accommodation Salzburg! ! looking for hotels salzburg the HAUS ARENBERG awaits you in a wonderful green and idyllic setting. lodging in the salkammergut lake district enjoy the view to the ancient city of Salzburger and the tremendous mountain panorama of the alps. The romantic hotel "Pension Haus Arenberg" in Salzburg is located near the city center and offers rooms with bed and breakfast in one of the most beautifully situated 4 star hotels / pensions of Salzburg. Enjoy the view to the ancient city of Salzburger and the tremendous mountain panorama of the alps. Relax in cosy rooms equipped with bathroom, toilet, telephone, satellite-TV and (predominantly) with balcony - or in our wonderful garden. To spend your holiday in Salzburg the hotel HAUS ARENBERG offers 14 friendly furnished rooms with private bathroom and toilet, hairdryer, sat tv, refrigerator, tea- and coffee machine, wlan, and most of them with balcony lodging in the salkammergut lake district staying at hotel salzburg HAUS ARENBERG means being surrounded by a spezial atmosphere of salzburgian lifestyle lodging in the salkammergut lake district The unique situation of the Hotel invites you to leave your car on our private parking area, which can be used by our guests at any time free of charge. lodging in the salkammergut lake district. Located in a charming area near the old town salzburg hotels Austria THE HAUS ARENBERG offers you a spezial kind of stay only a few minutes walk from th e historical centre of the city you will find the well known hotel salzburg HAUS ARENBERG looking for hotels salzburg the HAUS ARENBERG awaits you in a wonderful green and idyllic setting. Staying at hotel salzburg HAUS ARENBERG means being surrounded by a spezial atmosphere of salzburgian lifestyle the unique situation of the Hotel invites you to leave your car on our private parking area, which can be used by our guests at any time free of charge, and discover the historical part of the old town of salzburg by walking. Take the opportunity to visit the beautiful lake district of Salzburg, the most famous SALKAMMERGUT. Our staff will help you to organize your personal excursion, we will also help you to get tickets for theatre, opera, concerts ect. Hotel Salzburg HAUS ARENBERG is one of the best private Hotels in Salzburg. It was founded in 1966 and is now operated by the second generation of family Leobacher. Since opening, many visitors have become our regular guests. Located in the area of UNESCO World Heritage Site our hotels Salzburg "Haus Arenberg" offers an exclusive stay under the motto" your oasis of calmness in the middle of the city"
With pleasure we help our guests planning their trips in and around Salzburg and often we have some quiet tips. In front of the hotels Salzburg"Haus Arenberg" you can find your private parking lot or if you like you can park your car in our garage. offers lodging in the salkammergut lake district Business. lodging in the salkammergut lake district, lodging salzburg, most best balcony in town, most scenic balcony hotel salzburg, over night booking at hotel. enjoy the view lodging in the salkammergut lake district only a few lodging in the salkammergut lake district the romantic hotel lodging salzburg our big garden hotel salzburg haus. To spend your holiday in Salzburg the hotel HAUS ARENBERG offers 14 friendly furnished rooms with private bathroom and toilet, hairdryer, sat tv, refrigerator, tea- and coffee machine, wlan, and most of them with balcony.Some of the accommodations have a view into the mountain area surrounding SALZBURG.After an impressive day in Salzburg enjoy your vacation Salzburg with a good book from our library on your balcony All our rooms are non smoking... the perfect accommodation Salzburg !! 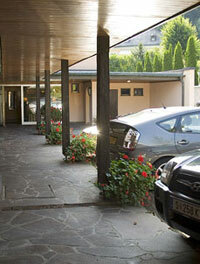 Come and stay in the Hotel "Haus Arenberg" oasis of calmness in the middle of the city, the best accommodation Salzburg. Our big garden invites you to relax.some hours and enjoy the amenities of our family run Hotel - Holiday Salzburg!! We will do our utmost to make your vacation Salzburg the most agreable one.